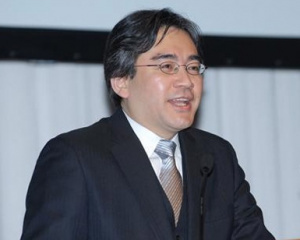 Iwata Asks: Can you be patient? There was a time when each of The Big Three offered something a little different with their respective consoles. With motion-control billed as the main event at this generation of home consoles, Nintendo can take pride that it was the company that warmed up for the evening, and that it's still going strong today. So what can we expect from the Wii's successor then? Well, it looks like we're going to have to wait a while longer before we find out because that's the price we pay for innovative ideas being kept secret from the competition. During the last general meeting of shareholders, Nintendo President, Satoru Iwata explained that the company is "developing new products all the time" and once a new product is released, development teams move straight onto the next project. ...we are of course studying and developing the next console to Wii. However, there is a big difference between studying a product and announcing what it is and when we will release it. I am afraid to say that the history of entertainment is also the history of imitation. A great idea will promptly be copied unless protected through patents. At the same time, it is really important for our business to positively surprise people. Again, we are planning the next products for Nintendo's continuous growth, but we cannot tell you what, when and how we will release it here. Thank you for your understanding. I'm glad of this. Don't wanna see Sony and Microsoft rushing to copy it and saying "we started it!" so they wont release details because they don't want anybody to copy it? makes sense after what happened with Sony's "move"
i'm still happy not buying another wii, so keep working at it, i trust nintendo to innovate. Knock me off a building, Nintendo! Maybe a game console that doesn't need a television? Maybe something that generates images and graphics upwards to present a 3D holographic technology? ...Maybe a pipe dream, but it needs to be technologically on par or superior to anything the competition has. I don't wanna see more multi-platform games get shafted or halfheartedly applied for Nintendo. built in projector would be interesting, doesn't really go with Nintendo being the affordable system though. If they're going to keep motion controls they better vastly improve on them. Even with Motion Plus I'm still not sold. And for pete's sake get rid of them frakking friend codes! I wonder how it will compare processing-wise with the PS3/Xbox 360. Then again, by the time the Wii's successor will arrive I would expect to see their competitors' new iterations to release shortly thereafter. "So don't expect any concrete details until as late as possible"
When do we NOT do that? I vote Super Wii or Wii64 runners up would be Wiicube or Wiintertainment System. maybe a projector thingy, an HD projector, making you NOT buy and HD tv? All you would need is a gigantic white tarp and option to use controller or wiimote, i would like that for the FPS games! yes, NO FRIEND CODES!!!! please! use a gamertag system, so you just type in a name and your set! I have only had a Wii for about a year so I'm not really in any hurry for Wii 2 or whatever they plan to call it, I still have many games I have not got around to playing. No more shovelware for Wii!!! Nintendo should bring back the old Seal of Quality. Make this system have little shovelware, Nintendo! Either way, I'll still purchase a Wii 2 (or whatever it will be called). Hopefully this next one is HD and gets rid of the friend codes (At least make it so we only need one Friend Code, Ninty!). I would love it if it had player profiles and achievements, too, and was always online, just like the other consoles. It should definitely be called Super Wii. They've gotta go back to cartridges. Even if it was wireless. Leave it to Sony to sink a revolution in technology. I want an Ultra Nintendo Entertainment Syste- I'll shut up now. Excellent! I knew when i saw Kinect and Move that Nintendo would have to step it up if they wanted to stay ahead of the competition. And now those of us who own multiple consoles will be able to enjoy each one's motion controls separately. Unless of course you own an Xbox and a Ps3 and a Wii. But anyone that owns 3 consoles has to have some serious funding, so they still might be able to. Speaking of multiple console owners i keep seeing a Halo Reach add on this site. Well i just remembered im gonna have to preorder that, but aside from my personal gain i find it odd that youd see that at nintendolife. I'm fine with Nintendo making a Wii 2, but Sony and Microsoft better not make another console. This gen needs to last a long time. The PS3 and 360 haven't been completely taken advantage of and games are already far too expensive to make. Wii Ni Wooh! well I hope that its backwords compatible with Wii and GCN, and I hope they add Dreamcast and Saturn to VC. as for HD as long as the games are good I dont need HD and lets hope Nintendo themselves dont Use extreme graphics on there characters leave that to the Characters that should look that way ie Snake, RE Characters and maybe Contra. but never Mario or especially Pokemon and Kirby. Seriously those images online of HD Kirby and Pokemon look Horrible like Houndoom and Beedrill. I also want the system to have only 1 FC per person and tell you when there Online, hopefully the 3DS will do that. Friend codes aren't that big a problem compared to random matches. Why can't more online games use online lobbies instead of random matches? I'd like to be able to choose my non-friend opponents based on their skill level (win/loss records) and how many players are grouped together (when you can play with more than 2 players), and I want to be able to easily confirm that noone is currently looking to play a certain game mode instead of having to wait for it to try to connect to an opponent and never succeeding. Yah, bring back those big, bulky NES cartridges from back in the day. I think they should call it the N.A.S. that would be right after they buy the rights to Sony's gaming branch. Yeah I dont expect to see WiiToo or whatever (hope its a better name TBQH) until holiday 2012. When Nintendo does release a new Wii, I Just hope they call it a Super Nintendo Wii to bring back the memories of going from the NES to SNES. Plus Super Wii sounds kind of catchy. The next Nintendo console (Wii2) will be a stylish, and surprisingly affordable powerhouse. HD, 3D, output to two screens at once, high capacity discs, large onboard HDD. Motion controls, yes, with a Nintendo i "eye" camera sensor bar. One of the best online services yet, but a closed service like Xbox Live. Pictures, movies, music. Beautiful traditional controllers ready to go without hooking into another controller. A great starting line-up of games with all major 3rd-parties supporting it with quality titles! Plus there will be connectivity with the 3DS, and some cool augmented reality stuff, and no doubt a few other surprises Nintendo will have up it's sleeve. Yes the next system will be a refinement of the innovation just like SNES was to NES, Gamecube was to N64. Wii2 should be the refinement of Wii if everything goes as before. Nintendo should bring back the old Seal of Quality. Make this system have little shovelware, Nintendo! ...thats not what it meant. It meant that the construction of the physical cartridges themselves were approved by Nintendo, not the quality of the games themselves. There were far too much "shovelware" on the NES which had the seal for it to mean the quality of games. It's gotta have some exciting new pull, to sell Nintendo style. They know that, and i can't wait to see what it is. Personally though, I hope they also build on what they've got now. I feel like Wii hasn't reached it's full potential at all. A new console with motion plus as standard would do a lot to rectify it, but like I said they also need something new to excite people. "don't tell anybody this but, the next console isn't even gonna be a console. it will be a pill you take which causes your body to turn into a virtual reality experience. The pill contains melatonin which triggers one to fall asleep. during which time, your brain will have access to wifi and the internet. From there, people can "think" themselves to the Nintendo Conncection where they can "BE" mario or link in their respective worlds." Controllers? Discs? Televisions? 3D glasses? They are a thing of the past. We will call our next project "Image N" N standing for Nintendo. Please don't tell anyone because Sony and MS will definitely steal our ideas and we havn't patented them yet.!!" "We also do not recommend children under 7 to engage in the pill activities. Also, adults over 40 will have side effects such as nausea, hallucinations, and loss of sexual desires." pretty cool stuff coming down the road!! I've been saying Iwatas exact words in forums for YEARS. Reminds me of the past couple E3s where people were complaining that Nintendo didnt announce 50+ games. @47: If it'll support all that, you better hope that it comes with a competitive price point. As for me, I think I'm finally reaching the point where I won't need a non-portable console, especially if the 3DS will be as awesome as every journalist makes it out to be. I'm only 32 but after twenty-five years of playing games I'm getting worn out, I think it's time to go to handheld gaming with PC/Mac games for my high-res fix. I predict it will come out in two years, but I'm not an expert on these kinda things. I hope it will have graphics that like those of the rivaling companies at the time. (I can't wait to see the newest graphics! Today's graphics are so good!) I WANT TO GET RID OF FRIEND CODES! Well, hopefully if they decide to add 3D on the next home console that it will not require glasses after how much bashing they did to 3D Glasses at E3. Motion controls should be up-to-date. The nunchuck should be wireless. The remotes shouldn't have those stupid batteries, include a docking station for recharging. Those are just some of my views. I bet 2013 is when we'll see the Wii 2. In fact, it should rival XBox's Kinect. @Mastergraveheart They're already doing it, it's called the 3DS. Please get ride of those stupid friend codes. 2. allow us to literally "sell", or give/gift, or perhaps even trade away virtual content we own @ our choosing. It could then be stricken from N's listings of software we own, to in some ways avoid piracy. 3. make the system more computer-like, in terms of how it can be used, upgraded, & how legal it would be for amateurs/homebrewers to make their own games, & applications for it. 4. If child safety online/offline is an issue, work on a system far superior to friend codes, as these don't stop what they supposedly were intended for. 5. Lobbies for online gaming. 6. From the get go, allow for us to transfer our virtual existence from console to console. This will make you more dough in the long run, as ppl will always buy consoles. wii 2 would be a great name, you know how wiis modo is "wii would like to play" well wii 2s modo could be "wii would like to play 2." that would be cool.